2018 saw many big names like Ed Sheeran, Drake, Post Malone, Eminem, and Sam Smith return to music to claim a piece of the pie. A few new names like Camila Cabello, Cardi B, and Anne Marie also tried to figure out their place in all of this. Find out which of your favorite names made the list of the top 40 albums of 2018. 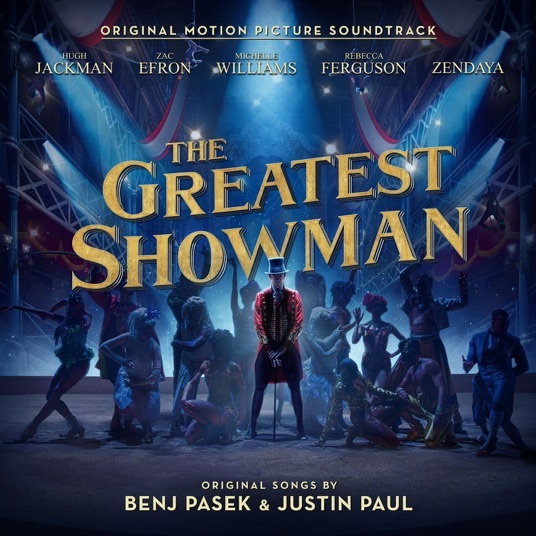 The Greatest Showman Soundtrack dominated 2018. It's stayed at the top of the charts mainly just shifting seats but not going anywhere. And just when you thought it was done it's come back out of nowhere taking first place again. In fact it's taken first place five seperate times for a total of 21 weeks. Over a million copies have been sold and nobody else could steal its thunder. All of these numbers are from the UK based Official Charts as of November 27, 2018 as they are the only ones releasing data publicly based on album sales so far. They give a good idea of the final results for 2018. The numbers include physical album sales, digital downloads, and streams. Georges Ezra's "Staying At Tamara's", Ed Sheeran's "Divide", the Mamma Mia Here We Go Again Soundtrack, and Drake's Scorpion took second, third, fourth, and fifth places, respectively. It should be interesting to look at the US numbers and global numbers and compare them with these as Anne-Marie (16th place) is fairly larger in the UK than elsewhere and beat Camila Cabello (37th place) for biggest debut there. It's likely in the US it will be the other way around. Also Cardi B's Invasion of Privacy only just slipped in at 39th place and it's likely she has a higher place in the US. Many of these albums were global successes and may be in similar positions in the US. The Greatest Showman Soundtrack, Ed Sheeran's "Divide", Drake's Scorpion, and Post Malone's Beerbongs & Bentley's fall into this category. Many albums are missing from the list. Travis Scott's Astroworld was a top hit in the US holding it's place at the top of the charts, even in December months after being released in August. Some other major missing albums are BTS "Love Yourself: Tear", Christina Aguilera's Liberation, Beyonce & JAY-Z's Everything is Love, Nicki Minaj's Queen, and Lil Wayne's Tha Carter V. Watch out to see if they make the chart's in the US.